In 2007 I served as a designer on a project being developed at the College of Biochemistry at the University of Minnesota. A small team was building a Flash-based learning module—a virtual lab—to be used to teach a lesson on acids & bases. 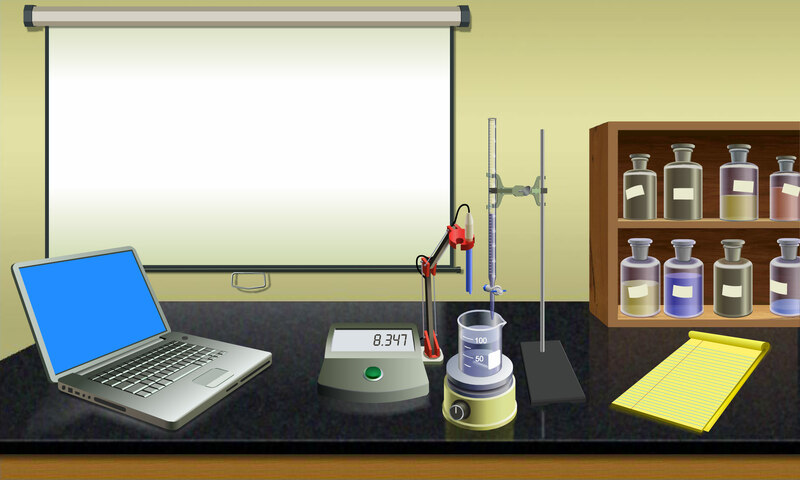 I created this lab environment, including some basic interactive animations (not shown here), in Adobe Flash .